Studio portrait of 1947 Private (Pte) Claude Henry George Jones, 18th Battalion bandsman. 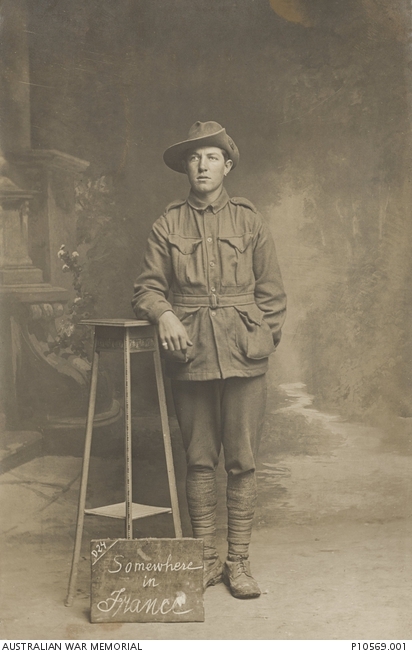 A carpenter from Rozelle, NSW, Pte Jones embarked from Sydney aboard HMAT Runic (A54) on 9 August 1915 with the 3rd Reinforcements, 19th Battalion. He was transferred to the 18th Battalion when he arrived in Gallipoli. Following service on the Western Front he married May Gladys Alsop in England on 12 February 1919 before returning home to Australia.